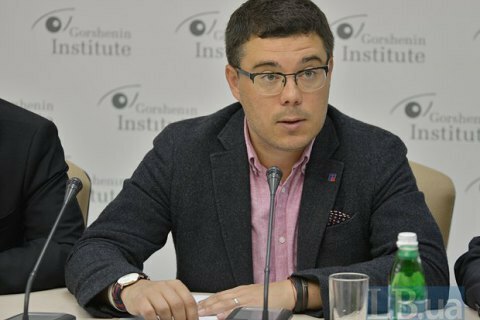 Neither the executive nor the legislative branches in Ukraine are responsible for the issues related to Crimea, political analyst Taras Berezovets, the founder of the project Free Crimea, said during the roundtable conference in Gorshenin Institute on Wednesday. "Today, the government has no people who would be involved in the problem of Crimea. Even the Verkhovna Rada does not have a special committee on the temporarily occupied territories. Yes, a ministry has been created with Vadym Chornysh at the head, who in in his first interview made it clear that he will deal with Donbass. Crimea is beyond his scope, and I understand that it is not on his agenda. In the presidential administration, there is no official who would be responsible for the Crimean issues," Berezovets said. The interpartizan parliamentary association Crimea in the Verkhovna Rada, headed by MP Olexiy Honcharenko is, in the opinion of Berezovets, ineffective. The political scientist reminded that no strategy for de-occupation of the peninsula has been adopted as yet. body and a Verkhovna Rada committee, nothing is going to happen," he said.